I've thought about the idea of having Elsewhere ___ titles for a while now. 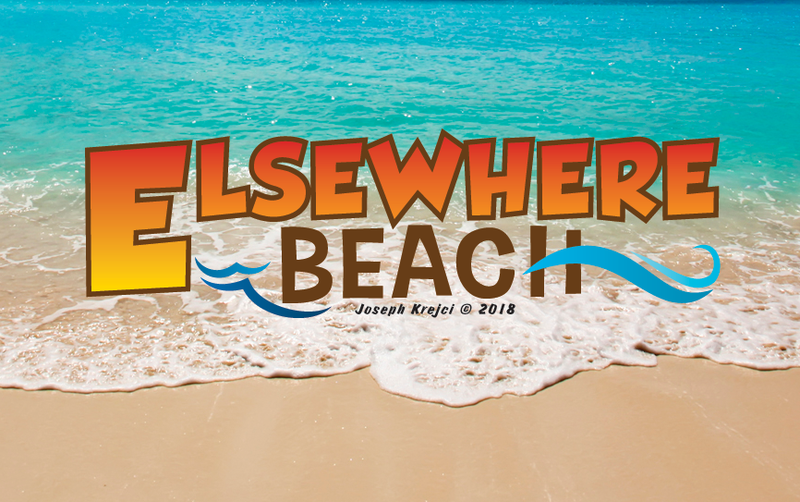 Several other 'Elsewhere" series have come and gone over the years. Causing various confusion. In Elsewhere there really is the Space Adventure stuff and the School Stories. Since the school is Beach State University (B.S.U.) where the story takes place and the series started when I went to Cal. State Long Beach (known as 'The Beach') The name of "Elsewhere Beach" seems appropriate for these stories. Here is the logo design. F.Y.I. We got a review! Read Review Here!